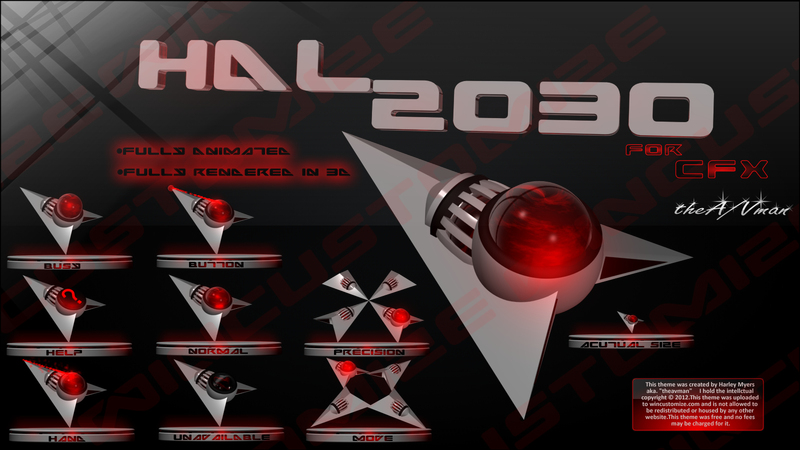 HAL is a fully animated,modeled and 3D rendered cursor.It has quick,clear and accurate animations.Built to match the windowblind HAL 2030 by vStyler. A reinvisioned masterpeice inspired from the movie 2001: A Space Odyssey. What´s this ?! Coming here with that kind of competition !! *sigh. You're so talented, Harley. It's not fair! Excellent work. My only suggestion would be to make the text cursor a little longer. Thanks for sharing! Thank you all so very much I am very glad everyone has enjoyed it !!!!! Great Cursor! Best I have seen in a long time! Thanks!